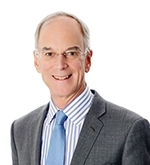 Robert W. Scully has been a member of our board since June 2013. Mr. Scully was a member of the Office of the Chairman of Morgan Stanley from 2007 until his retirement in 2009, where he had previously been Co-President of the firm, Chairman of global capital markets and Vice Chairman of investment banking. Prior to joining Morgan Stanley, he served as a managing director at Lehman Brothers and at Salomon Brothers Inc.
Mr. Scully also serves on the boards of KKR & Co. LP, a private equity and asset management firm; Chubb Limited (formerly ACE Limited), a global property and casualty insurance company, and UBS Group AG, a global financial services company. Previously, Mr. Scully served as a director of Bank of America Corporation, GMAC Financial Services, MSCI Inc. and as a Public Governor of FINRA Inc., the Financial Industry Regulatory Authority. Mr. Scully holds a bachelor’s degree from Princeton University and an MBA from Harvard Business School, where he currently serves on its Board of Dean's Advisors.